The Retro Room Salon and Spa opened its doors August 2008, offering upscale services with a fun atmosphere and a touch of funk. Enjoy a beer, wine or cocktail on us, while we customize the look that speaks to you. 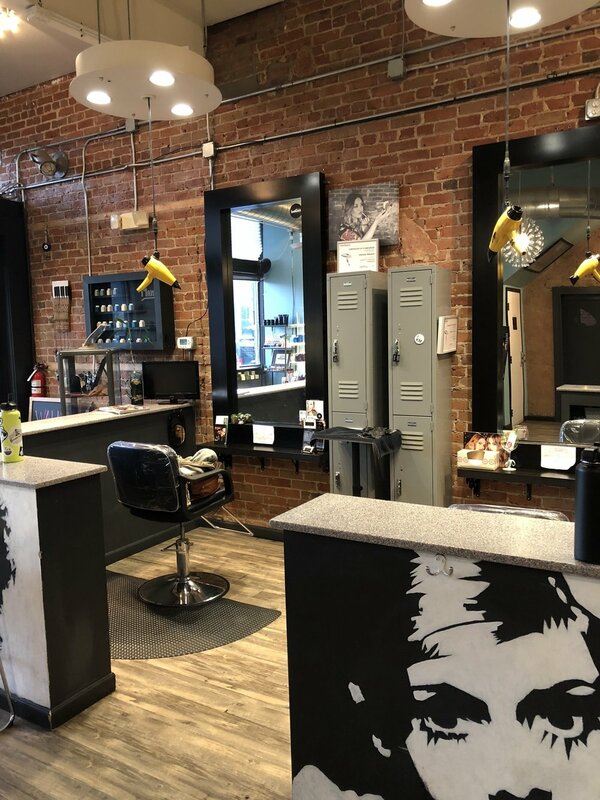 We offer an array of top quality salon services including men and women’s haircuts, customizable color, hair re-texturizing, deep conditioning treatments and extensions. On Wednesday nights, from 4-9pm, men can enjoy our happy hour special, a $25 haircut. Through years of trial and error, our owner consciously chose to carry Kevin Murphy products and Alfaparf Color. These lines are not only environmentally friendly, but also deliver the best possible results. In the spa, we offer facial and body waxing services, eyelash extensions, facials and spray tans. We love weddings and offer in-salon or on-location hair and makeup for such events. In-salon wedding parties can enjoy our complimentary wedding package, which includes champagne and light snacks. We welcome you to browse through our gallery and follow our talented stylists’ Instagram to find your next inspired style.